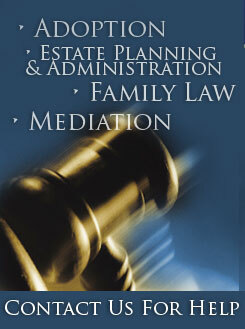 Deborah L. Lesko Law and Mediation Offices, Pittsburgh, PA. Integrity in our billing, a complete understanding of how our clients are billed for legal services and costs, and realistic estimates and expectations of the legal costs our clients should expect to incur. Respect and encouragement of our client's faith in God in all aspects of their situation, including decision-making, outcomes and hope in their future. We believe that through this journey, our clients, equipped with a competent and caring legal Team, strategy and decision-making, will resolve their legal matters with a renewed hope in their tomorrow and a healthy confidence in their future. Our approach is about putting our clients and our client's interests as our first priority. Our practice is designed to advocate for our clients, to support them as they transition the seasons of their lives, and to build a tomorrow that is better than today. To provide insight, practical wisdom, creativity and resourcefulness tailored for your legal matters, in a timely manner, and to provide a full scope of implications, options and possible solutions to your particular situation. To respect your need to preserve resources-financial, emotional and physical-and to discuss options that address these particular needs and parameters. To be completely trustworthy with our clients, built upon our values, beliefs and competency. Our standards of trust are designed to create a client experience that is consistent, reliable, differentiated and valuable. To carefully listen to you as you communicate your circumstances, your concerns, your views, your needs, your goals. To communicate effectively and regularly, as needed, with you about your case. To explain and discuss legal analyses in ways that are clear and manageable to you, enabling you to fully understand, to strategize, and to confidently make decisions, with us as your advocate and support. To communicate clearly with you regarding the cost of our services and how we bill for our services, to be available to discuss any billing questions that you may, and to be sensitive to financial parameters that you may desire to work within. To respect and encourage your faith in God as the most important and necessary component of decision-making, resolution of the issues you are facing, and basis for healing and moving forward in your life with a renewed hope and healthy transformation of attitude and outlook.